Interests:All mining, All rock hounding, All metaldetecting, All history. I have recently heard a lot about specimens from this site. CAUTION Area under claim as per web site! Adam, you probably know about this site?? Yes , I have had the pleasure of collecting at the site many moons ago with the current owner Bill Gardner. The fluorescents we collected were very nice. We also were afforded the opportunity to collect at his other prospect , however I forget the name of it. Really nice combinations of Wulfenite with Fluorite & Quartz were commonly found there.. He used to give tours of the properties and even just some rockhound spots for fun. It was a great time and he was a awesome host ..The guys a true rockhound for sure. I wish I could afford one of his "way to Cool" UV lamps, they appear to be top of the line in quality. These site are probably under current claim, and it would be strongly advised to not commit mineral tresspass. Thanks for the link. Have read some on the Purple Passion mine previously but not that article. 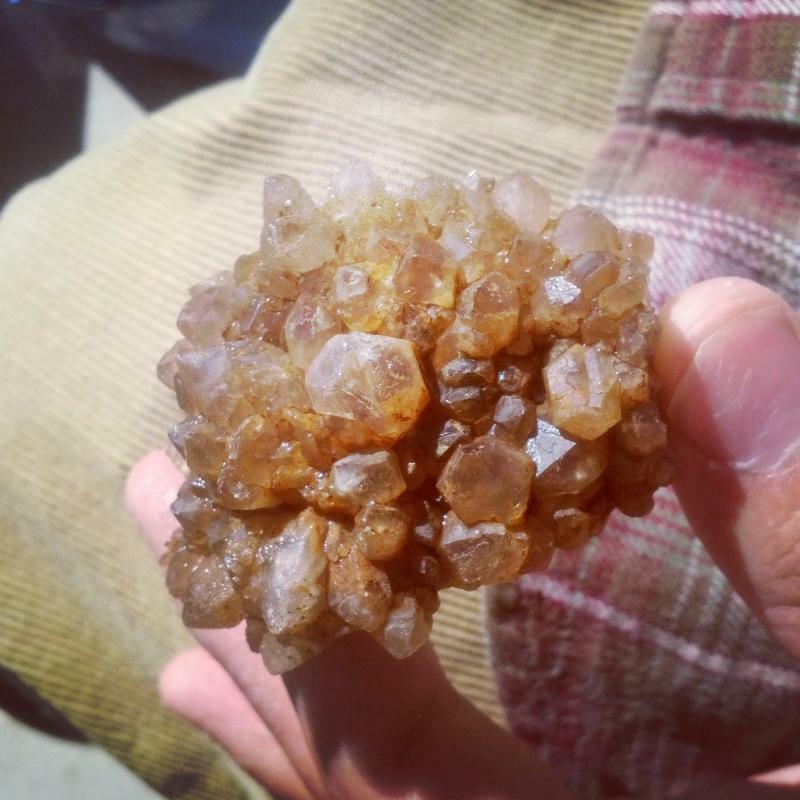 Fuzzy wulfenite??? I'm amazed at natures variety since I've never heard of that before. It looks like some really spectacular flourescents have come from that mine. When I was really in to fluorescents there is an area that is now in Sonoran Desert National Monument and the Table Top Wilderness areas that had lots of fine specimens west of I-8 at MP-144 off of Vekol RD . There is some private land at MP 151 and the intersection of state highway 84 that had some also, if you can locate an owner who will let you collect you might score some good ones. I have not been there for many years. A lot of areas out in wickenburg have fluorescent minerals in combination with other minerals. 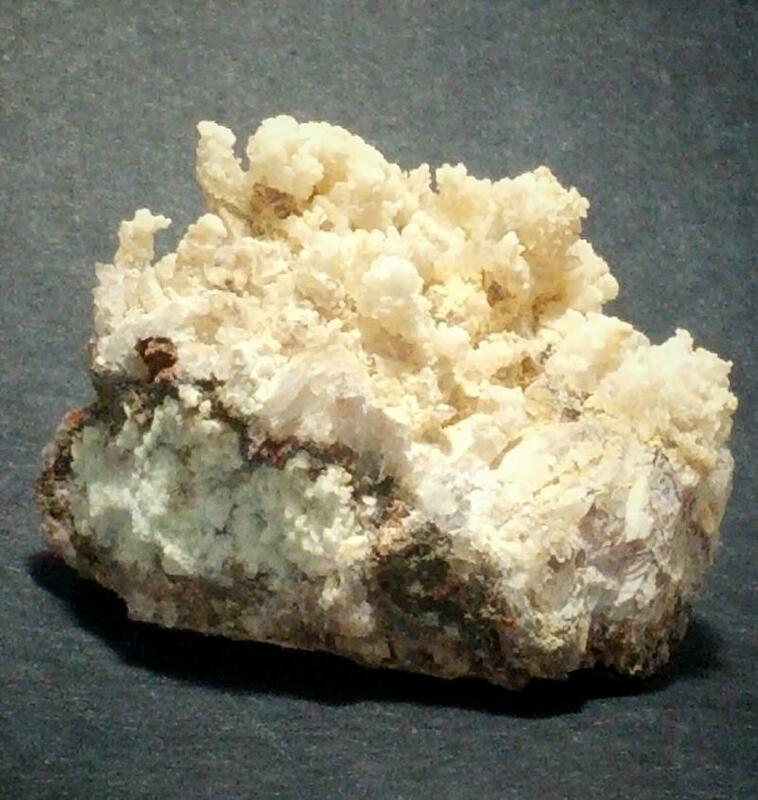 I run a little claim out there near the old S and O claims that produced Barite w/ Cerussite. 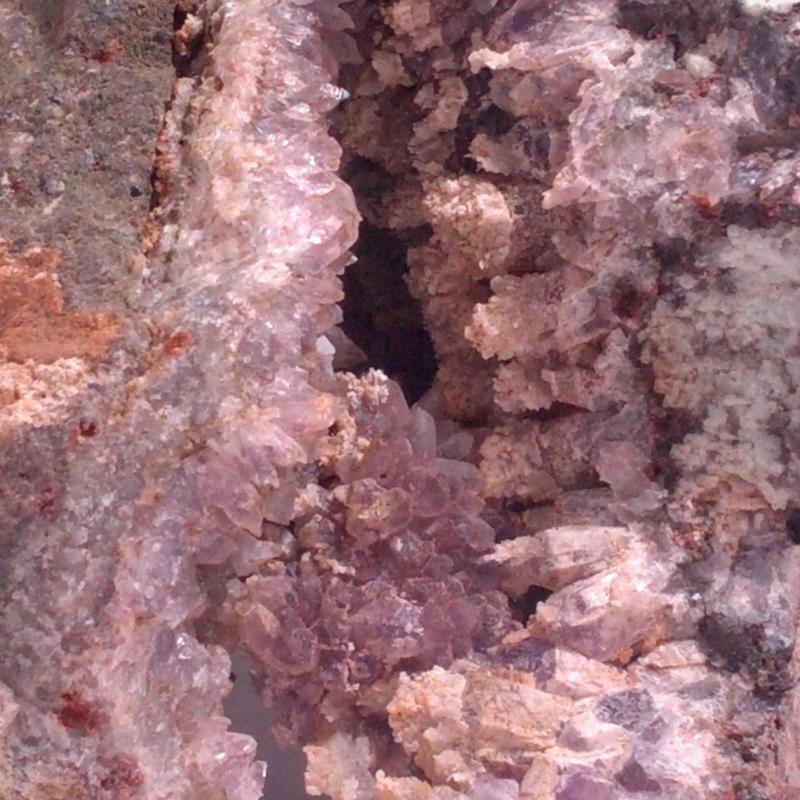 At our claim we find massive quartz and amethyst clusters as well as green fluorite cubes with aragonite and selenite. 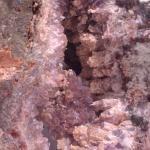 At our claim we find massive quartz and amethyst clusters as well as green fluorite cubes with aragonite and selenite. I'd like to see more photos and I'm sure many others would too. You have some nice specimens.